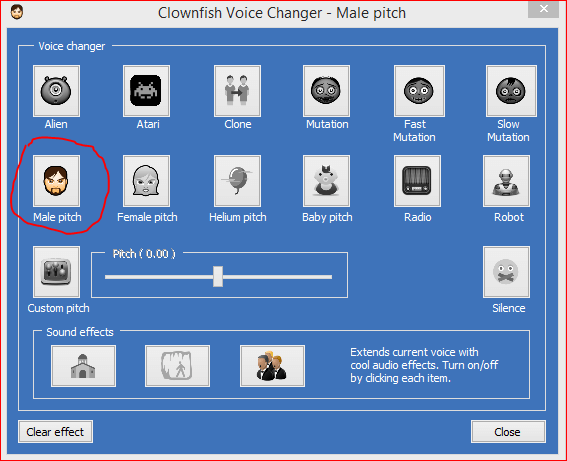 In this article, we will introduce the best Clownfish Voice Changer and Download Clownfish for Mac, Skype, Discord, Teamspeak with how to use and fix if not working. So, continue reading. With the developing of smartphones and technological features, there are many impossible things which are made possible in this amazing world. There are many amazing technologies which you haven’t experience yet or want to. The most outstanding feature of different devices and software or applications which we always want to explore more and more. Do you know, there is software which allows users to change or enhance their voice in devices. 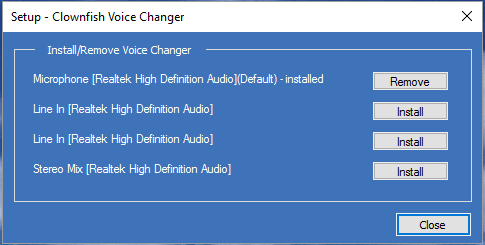 If you like to follow much software, then you must have downloaded various voice changing applications. There are tons of voice changer available in the world of internet which you might have used, but didn’t like. So, we are here with one of the best voice changer multi-tool. If you have any queries relating to our articles, then you can visit Gadgetsay Forum. We will discuss the full facts of the Clownfish Voice Changer which use third-party plugins to work awesomely. Sometimes, many of you want to change your voice because you cannot go for a painful vocal surgery. There are many people who don’t like their voice recordings so this is a reason why they want to use a voice changer. Some other people use this type of software to just make fool of other peoples. The reasons cold me many, but the solution is just one, Clownfish. The application runs on Windows Vista and all latest editions, up to Win 10 and it implements complete dependence for both 32 and 64-bit versions. It is a small setup file which you can install in not more than a minute. I now that you might be eager to download it now, but at first let’s know something more about the Clownfish voice changer. What is Clownfish Voice Changer? Clownfish Voice Changer is an outstanding application which basically allows the users to change the voice. It can easily transform your voice in Skype, Viber, Hangouts, TeamSpeak, Jitsi, Ekiga, Mumble, Steam, ooVoo, Ventrilo, Discord, and many more. The exclusive Voice Changer app is introduced on the system level. You will not recommend any other voice changer, once you used this application. It efficiently balances the quality of your voice, the software operates further like a structure for third-party voice outcomes. It comes with a music player in which is built-in the Voice Changer that has heightened audio control and playlist. It is compatible with many of the media formats. Robot, Silence, and many more. 1. The name is inspired by a family of fish called ‘Pomacentridae’. Anemonefish and Clownfish are a part of this fish family. 2. It offers effects such as high sound, deeper, older or younger are considered interesting. 3. It also records your voice if you want to save it. 4. You can download it on Windows 7/8/8.1/10 and also Vista. 5. It comes with lost of sound effects. 6. It helps you to enhance your voice quality, but remember to microphones for a more improved experience. There are many other websites which have provided many tough methods for downloading Clownfish, but here you will find the best ever method. You don’t need to fulfill any terms and conditions before downloading. Here we will discuss the method to download the application in MAC, TeamSpeak, and Skype. 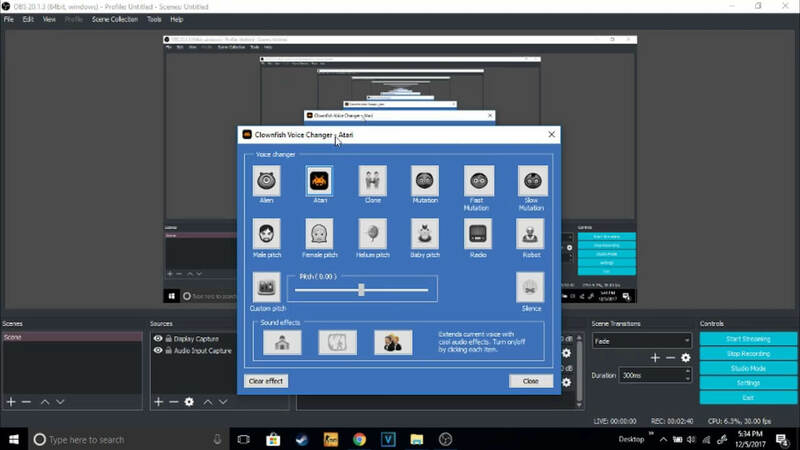 However, people often prefer installing Clownfish on Discord which will allow you to transform your voice on Discord servers. So, let’s go ahead. 2. Click on “Download 64 bit”. It requires OS X (10.7 or above) for efficient installation. 3. You can change the incoming and outgoing message via latest version tool ready for MAC. You can download the app for TeamSpeak by simply clicking here and enjoy voice effects like Clone, Atari Game, Pitch of Male and Female, Voice of Baby, Robots and many others. 1. At first, download the file in your device. 2. After the installation process, it will as you to grant permission to use the Skype so allow the permissions. 3. Now, you have to click on “Allow Access” button. 4. Right-click on the “Clownfish” icon which is located in your system tray. 5. Here, click on “Enable Translation” which you will find in the context menu. Many time users say that they are not able to download the files or use it properly so for those peoples we are discussing the steps for what to do if Clownfish Not Working. So, lets read out these simple to be executed method. 1. If you have already downloaded the latest version of the file in your compatible device, then follow this tip. I suggest the users using 32-bit then the 64-bit version to not download this file as it is not made for you guys. 2. 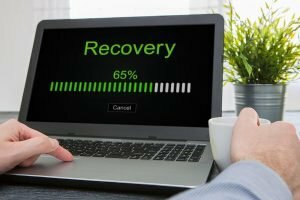 If you are not able to use this application or change or apply the voice effects, then you need to carefully read these tips. # Audio Settings> Recording Devices > Right click on Microphone Properties > Enhancement Tab > Untick the ‘Disable All Enhancements’> Enable Audio Enhancement. 3. Remember that the custom sounds can be only used by running administrator’s permission. Hence, it is better to run the clownfish voice changer as administration. 4. If none of the above methods works for you, then you can uninstall the previous version and then install other new or older version. So, this was the method to Download Clownfish Voice Changer Working Online And How To Use it. These steps are easy so you don’t have to take help of any other person for downloading. I hope you like this article and have a great experience with this amazing application for changing the voice. Don’t forget to leave your precious comments below and share it with your friends who love to explore new software.